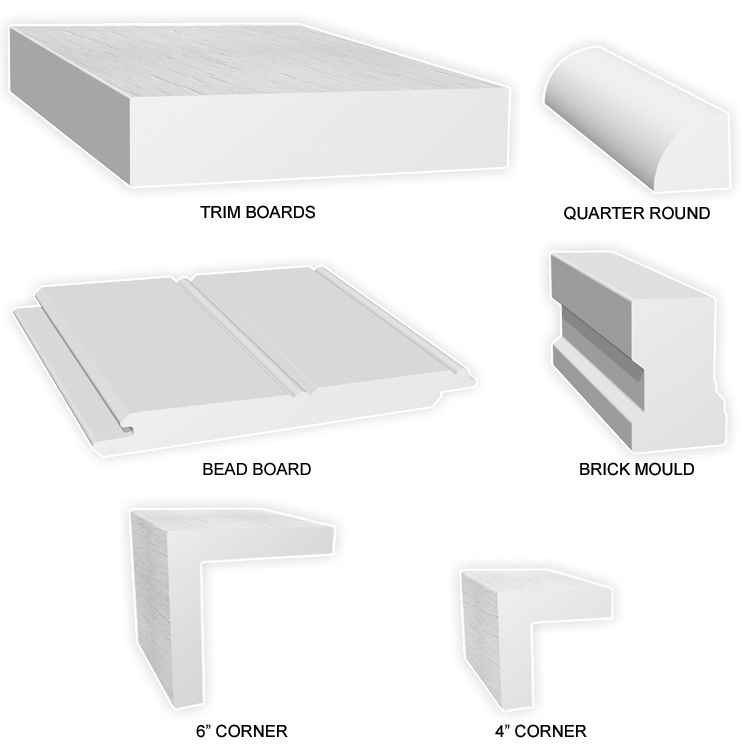 With a full complement of PVC trim boards, sheet, mouldings and corners, EX-Cel ? will finish any project completely and professionally. Available in either smooth, woodgrain or a combination of both, EX-Cel ? products can be cut, mitered, nailed, routed and sanded just like traditional wood trim products. Unlike traditional wood products EX-Cel ? can also be bent for curved applications and does not need to be painted. It will never rot, crack or deteriorate even in high moisture applications. Produced from one of the most durable building materials, PVC, EX-Cel ? is truly the low maintenance choice for all applications. Ideal for fascia, decorative trim, columns, flat casings,and many other applications. All Ex-Cel? products, are resistant to moisture, fading, salt and insects. Ex-Cel? trims are available in a variety of widths, thicknesses and lengths. Ex-Cel? is also available in sheet size. Ex-Cel? comes with a 25 year warranty.